If you were a child of the 1950’s or 60’s, you would be familiar with the above phrase. In western movies and television, when things got really rough, the U.S. cavalry would ride in, trumpets blaring, and save anyone who might be in peril. 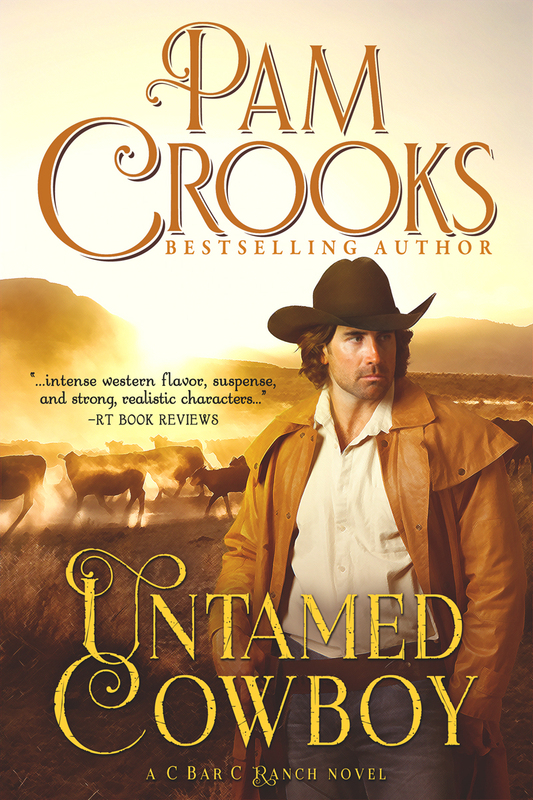 I noticed in historical western romance, though, most of the heroes were ranchers, cowboys, assorted lawmen, Texas rangers, and even the occasional bounty hunter. What has happened to the heroic soldier in blue with gold buttons and epaulets, charging into battle? That’s when I decided my next historical romance series would focus on that particularly western branch of the U.S. Army, the cavalry. I decided to focus on west Texas forts, since I grew up only a few miles from Fort Clark. Unlike many other forts prominent in the Indian Wars, Fort Clark remained an active post for almost one hundred years. It was founded in 1852 and deactivated in the mid-1940’s. It was bought by a private company, and over several decades was partially reconstructed and all the buildings were renovated. Fort Clark, where I danced in the community hall as a teenager, has become a unique retirement community. I thought, like most people who’ve lived in west Texas, I knew a lot about the cavalry and fort life. But when I began researching the backgrounds for my series of cavalry books, called: A West Texas Frontier Trilogy, I soon found I had lots to learn. Here are some of the more interesting facts I uncovered: frontier forts in the Southwest, unlike back East, were seldom built with walls. It was believed the firepower of the soldiers was more than adequate for overcoming the hostiles. At first, still mired in an Army culture caught up in the methods of the late eighteenth century, infantry troops were marched over hundreds of miles, under extreme conditions, to garrison the western forts. These infantry troops were ineffective in battling the Native American tribes. The Comanche, Apache, Kiowa, Kickapoo, and other tribes of Texas had long since adopted the horse as an effective means of quick raids and dare-devil escapes. The infantry would would pursue the marauding hostiles on foot, and the Native Americans would ride circles around them. Next, in the cavalry’s life came the strange blend of soldier, known as the dragoon. A dragoon was a cavalryman who rode on horseback, but he dismounted to fight and shoot his single-balled, musket-loading weapon. This interesting mix of fighting didn’t last long—the Civil War changed the cavalry’s tactics overnight and when the west Texas forts were redeployed after the war, they were made up of primarily cavalry soldiers—men who fought on horseback. Some of the more interesting facts I ran across about daily fort living were: the soldiers usually built their own living quarters, at first surviving in tents or quasi-log huts with tented roofs. This was common, even for officers who’d brought their families with them. Enlisted men were expected to live in barracks, and they couldn’t marry without special approval. As a necessary fire prevention method, most kitchens, unlike in our familiar films, were detached structures, built behind the living quarters. And the the most interesting fact I learned was that rank in the Army, when it came to officers’ quarters, reigned supreme. A mere Captain with a family of four could be turned out into smaller quarters by the arrival of a bachelor Major, who would be given the larger structure. Not very democratic by today’s standards, but the nineteenth century U.S. Army was organized along strict lines of rank and seniority. 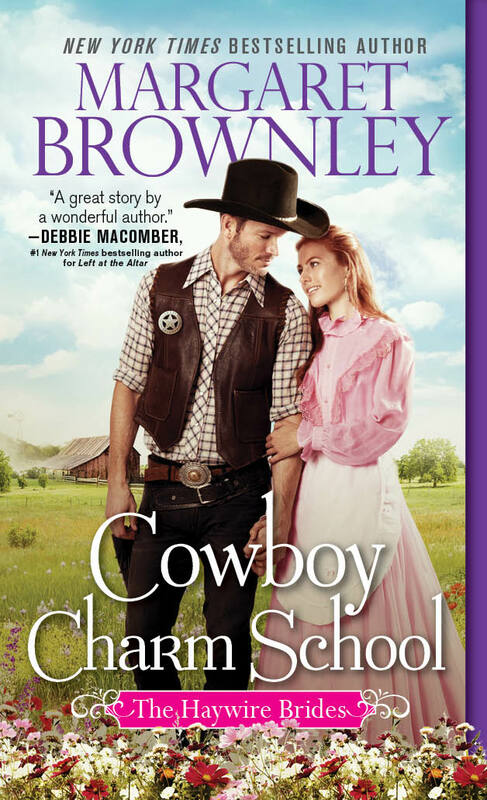 Mallory: The Mail Order Bride is the third book in my West Texas Frontier Trilogy. It’s set in scenic Fort Davis, Texas. 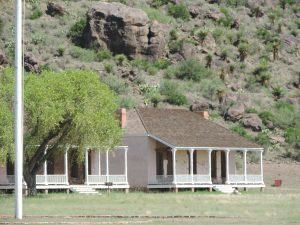 The fort, which is now a National Historic Site and run by Park Rangers, nestles at the foot of dramatic mountains in a box canyon. When I revisited the fort, a few weeks ago, I learned all of the structures are original, except for their porches and roofs. 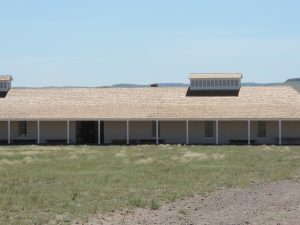 I’ve included several pictures I took of the fort’s buildings. 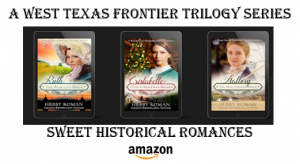 Hebby is giving away a $25 Amazon gift card and digital copies of her three West Texas Frontier Trilogy books. To win, comment and guess the function of the four buildings pictured A, B, C, and D. The winner will picked at random from those who comment. Good luck! 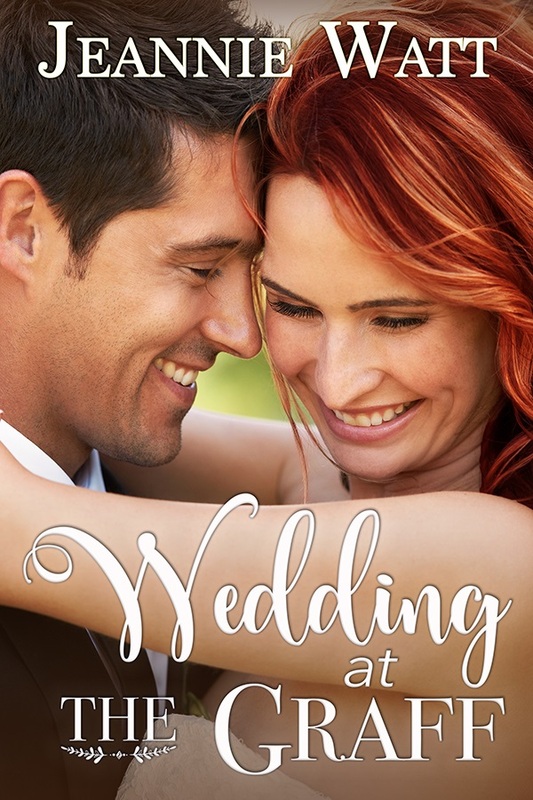 Hebby Roman is a New York traditionally published, small-press published, and Indie published #1 Amazon best-selling author of historical and contemporary romances. Her WEST TEXAS CHRISTMAS TRILOGY is an Amazon Bestselling and Award-Winning series. SUMMER DREAMS, was #1 in Amazon fiction and romance. Her medieval historical romance, THE PRINCESS AND THE TEMPLAR, was selected for the Amazon Encore program and was #1 in medieval fiction. She won a national Harlequin contest. Her book, BORDER HEAT, was a Los Angeles Times Book Festival selection. 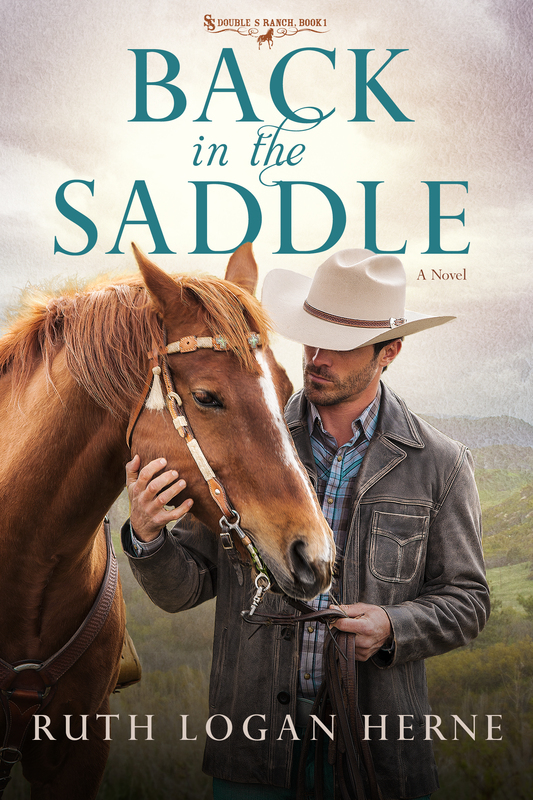 She has been a RONE Finalist three times and in three different categories. Love your historical information and pictures from where it all originated. Jerri, thanks for dropping by and guessing on the buildings!!! You’re close, you got 3 out of 4, but the drawing is random, so you get kudos for trying!!! So glad you enjoyed all the historical information, too. I would guess 1 as officer or officer’s quarters. 2 probably were they got there food. 3. of course the enlisted barracks only because it’s the biggest. 4. they was a tough one for me. Could be a combo of enlisted and offices. Kim, somehow, my answer to you, got moved down a space, I think it’s below Tonya’s. You are either a night owl or a very early bird!!! Had dental work done yesterday so woke up in pain then waiting for the pain meds to take effect only reason was up so early. Great post by the way. Hebby you embraced this trilogy with a fierce pride of the Great State Of Texas, incorporating beautiful history within each story. Tipping your hat, you showcased three great forts that left their mark on the West Texas Frontier. 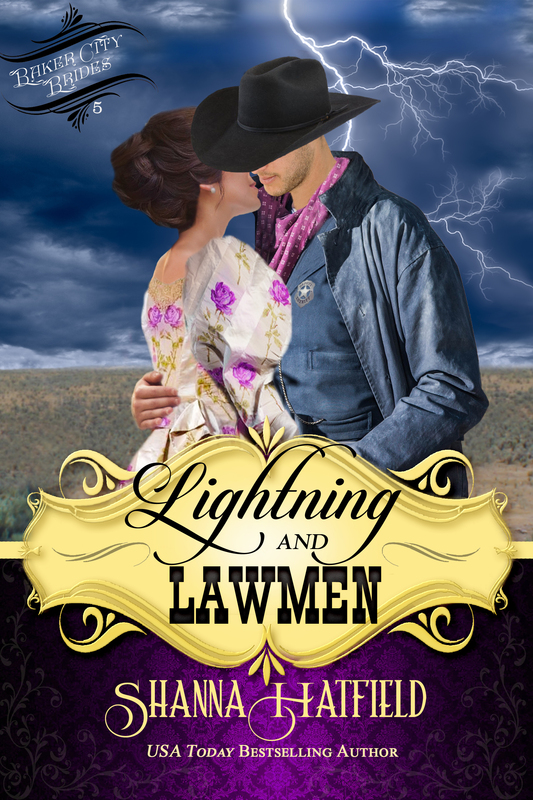 If you’re a fan of historical western romance, love a story with great history intertwined, as well as a book packed with great action, plus a powerful message of forgiveness delivered, this book is definitely a bookshelf keeper. Hebby this was an exceptional trilogy and I learned a great deal too. Hi, Kim, good guesses. These buildings are sometimes tough because they served one purpose back in the 1800’s and have now been repurposed for other things. I put the 4th building in purposely, because it’s a tough one to figure out, give everyone a challenge!!! Thanks for commenting today! Tonya, you are up very early today!!! I’m humbled and proud to hear your kind words about my Trilogy, Tonya! You’ve said it all, and so eloquently, thank you so much for your kind words!!! Your guesses are good, but I think I “threw you off” on a couple of them! Thanks so much for commenting and saying such nice things about my books. And about my passion for the history of these places, I did love researching the history of our West Texas forts. B. Mess hall was my first thought but I don’t picture the prep area in this building too so it may be the commisary. D. This would be the main part of the fort. Meeting area, ranks offices, commisary etc. Great blog! I’ve loved this series and I agree more HWR books should have forts and soldiers in them. I’ve loved learning history from this series! I just hate hearing final book in the series! Melanie, so nice to see you here, and thank you for commenting, too! Your guesses are good, but it’s really tough to get the big buildings correct, unless you’ve actually been there. Not to worry, the drawing is random, and the guessing is just for fun!!! Stephanie, I’m so glad you enjoyed my blog. The history of these forts is very interesting, I’ve become “hooked” and I’m intrigued by all the stories to be found there. Not to worry about “Mallory” being the last of this series, I plan on doing another series about Texas forts in the near future. Good guesses, too, the bigger buildings are difficult to figure out, especially D, I put that one in as a challenge!!! A Officers quarters, B Mess hall where they eat, C. Barracks, C Meeting place. I was a child of the 50’s and 60’s and yes the cavalry saved the day back then. Great post this morning I really enjoyed it. I can’t wait to read this series. I love mail order bride books. Thanks for sharing with us. Quilt Lady, thanks for joining me today at my blog. And thanks for guessing the buildings. I love writing about the cavalry saving the day!!! It was so much a part of my childhood, watching TV and movies, I can relate to your comment. Good guesses, too, I will reveal the actual answers at the end of the day, but everyone who commented is in the drawing. I’m glad you enjoyed my post, and I do hope you read my series and enjoy it! 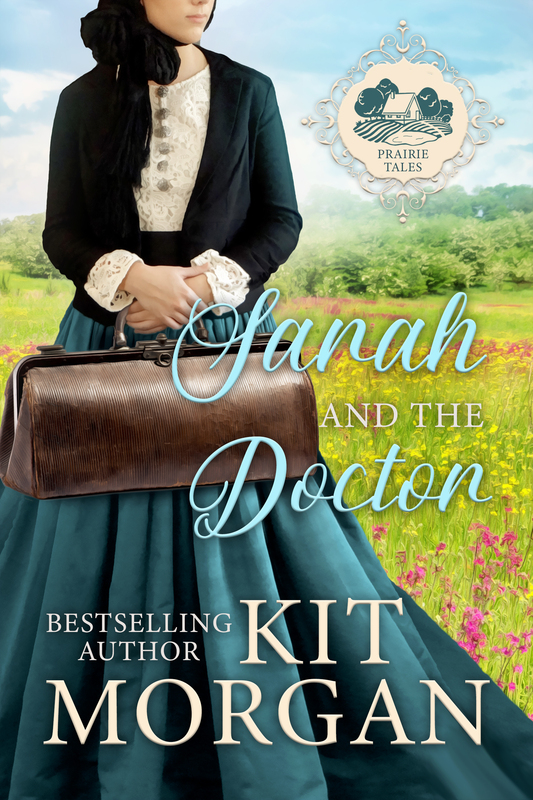 First, I would like to thank all the kind ladies of Petticoats and Pistols for hosting me today and featuring Fort Davis and “Mallory: The Mail Order Bride.” And a special thanks to Karen Witemeyer, as moderator, for helping me with the guidelines of posting here. I enjoyed reading your post. I cna’t wait to find out what the buildings are. Here is my guess. Janine, so happy you enjoyed my post. I’ll be “revealing” what the buildings are, later today. D: Administration Offices…very cool artical..
Tonya, thank you for commenting, and I’m glad you enjoyed the article. Your guesses are good, and it looks like you got all but one. I put D in as a “show-stopper.” It’s very difficult to tell that one unless you’ve actually visited the post. Although, if you’ve seen some of the videos on my Facebook page, it might give it away. All guesses are good and I will reveal the buildings this evening. Morning, Hebby. I’m not entering but wanted to say I’m thoroughly enjoying your posts on Texas forts. Your trilogy is superb and I hope you keep adding books to this series! Thank you, Carra, for dropping in. I appreciate it! 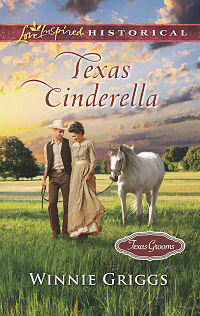 And thank you for your kind words about my book series and my posts on Texas forts. As you know, it’s been a labor of love for me, and I appreciate all your support, too. loved the blog and being reminded of what the Calavery did in the old days. Veda, so happy you could drop by today. I’m glad you liked my post about how the cavalry almost always rode to the rescue, especially in lots of John Ford westerns. I can remember our black-and-white television with the cavalry, riding in, flags flying and trumpets blaring. So much fun back then! Good guesses on the fort buildings, too. Welcome to P&P Hebby! I enjoyed your post — so many nuggets of history! I had no idea that before the Civil War the soldiers were all on foot while they tried to take on the Native Americans! Kind of reminds me of the Revolutionary War when the British marched in line after line and the Colonials hid behind trees and took pot-shots at them. I look forward this evening to the answers to your quiz! Hi, Kathryn, thank you for your welcome. I love being here. 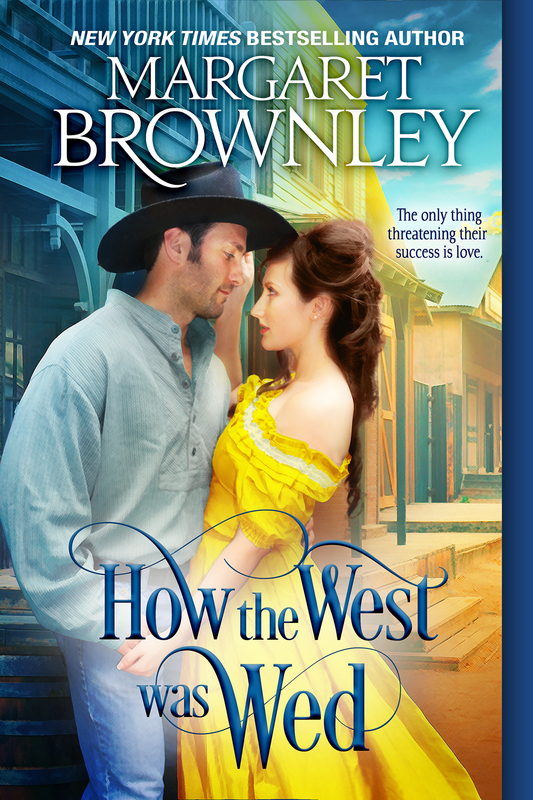 Your blog is such a joy with readers being engaged and enjoying stories about the Old West. And yes, it does remind you of Revolutionary Days, I thought that myself when I learned how the poor infantry was sent out to try and contain the Native Americans. Just like the British, marching in formation, against ambushes, it was definitely not an effective military maneuver, to have our men on foot. But the U.S. Army soon learned how to adapt and improvise. Thanks again for having me on your blog. Wow, I didn’t realize so much went into housing for soldiers and how forts have changed! As for the buildings I’m guessing they are barracks for the men. Thanks for posting! Hi, Susan, yes, these western forts, especially remote ones, like Fort Davis, had to be almost mini-towns to serve their soldiers. It’s always interesting to turn back the clock and see how people or soldiers lived, a century and a half ago. No internet then! Some of the pictures in my videos from Fort Clark showed how they amused themselves with reading and card games and lots of domino playing, too. What a great history! It was exciting to read about it! I wish I could be there to tour the buildings and land! Cori, thank you for your enthusiasm. I can’t say as I blame you, as it was a wonderful experience, touring Fort Davis. It was a warm summer day and you could hear the wind, whistling through the cottonwood trees in front of the officers’ quarters. Ooops, am I giving something away? LOL I will never forget the “good kind of shivery feeling” it gave me to know I was walking where our cavalry heroes had walked before. Great answers, Cori, you’re really close! Hebby, I’ve so enjoyed the photos of the forts you’ve shared on Facebook! It gave me a travel bug itch for sure. What I liked about it was the gorgeous old buildings with the scenery around them. It wasn’t until I read this blog that it dawned on me there are no walls! That’s why there is so much scenery in the background. This is such a great series. Good luck! Patti, thanks so much for joining me here! I’m so glad you’ve enjoyed the pics and the videos on my Facebook, too. It’s rather interesting, isn’t it, about the walls or no wall? When I first started researching this series, I was surprised myself, though, I probably shouldn’t have been, as I’d visited several forts when I was a girl, but I guess we all get the “Hollywood” picture in our brains and its hard to get out. Thanks for all your kind words and support, Patti. Hebby, Thank you for this fascinating post. Caryl, good guesses! And I’m so happy you enjoyed the post, too. Thank you for joining in! We were at Fort Davis 2 or 3 years ago. I was surprised by the lack of walls that are depicted in most western movies. The were busy with the renovations when we were there. Several of the buildings looked a bit alike . D. the Hospital (they were busy working on this when we were there. We stayed at the Indian Lodge in the Ft. Davis. It was very nice and reasonably priced. I hope your series is doing well. With the difference in the layout of the fort to what we think of, I am interested in seeing what effect that has on their lives and stories. Ahaha! 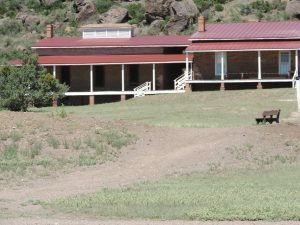 You have the advantage of having been to Fort Davis, and you’re guesses are great! It’s interesting they were working on the hospital when you were there. They were still working on it this summer, although, the work was to the interior of the building. I was amazed at the interior scenes, which showed so many aspects of everyday life, making the buildings seem as if the soldiers and their families were away but could return any time. We stayed in Alpine, but I think it would have been nice to stay in Fort Davis, like you did. It’s a small but interesting town. If we go back, I know I would enjoy staying there. Thank you for your kind words about my series. And yes, if you read “Mallory,” the layout of the fort and town plays an important role in the plot. Fort Davis is so awesome and beautiful, the setting was almost another character in the book. Sometimes that happens because the locale is unique. Fort Davis is one of those places. This is my first time participating in this blog and I realized that I posted in the “general” comment area I guess. I’m sorry that I missed all the fun but now know how this works. Theresa, no apologies necessary. I’m fairly new to this blog, too, as an author, and I didn’t realize there is a place for general comments. I’ll have to check that out. But no worries, you found me! And it was kind of you to join in! Denise, for some reason, I didn’t see your comment earlier. My apologies. Great answers, so appreciate you participating. Your great-great grandfather was a cavalry officer for the Union side from TN. He must have crossed the lines, as TN was part of the confederacy. I can’t imagine how terrible it must have been back then, with brother fighting brother and father fighting son, etc. Being in the cavalry during the Native American wars was tough, but being a soldier during the Civil War, which my great (I don’t know how many greats, his name was Ben McCulloch) was on the confederate side in TX, must have been so difficult. I don’t know how they could fight each other, their own relatives, friends, neighbors. Hard to envision. 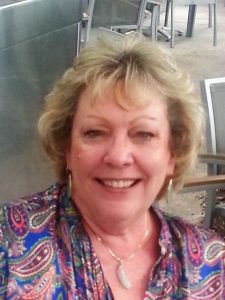 Glenda, so glad you “popped” over to read my blog, and I’m happy that enjoyed it. There’s a wealth of historical detail with these forts. If you get down into the “nitty-gritty” of the stories there, you could blog for hours. Thank you for the post. 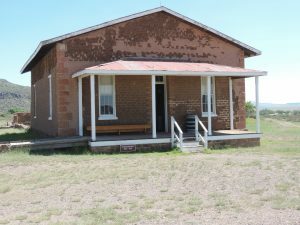 I love visiting historic places and have visited several historic forts in the past, like Fort Laramie in Wyoming and Fort Robinson in Nebraska. Somehow, I missed your comment earlier today, my apologies. I fully understand where you’re coming from, that is real life, there is always two sides to everything. Actually, if you could (but you can’t because you don’t have a digital reader, although, I’m in the process of putting together my three fort books in print for Amazon), you would learn that I try to show BOTH sides of the cavalry. 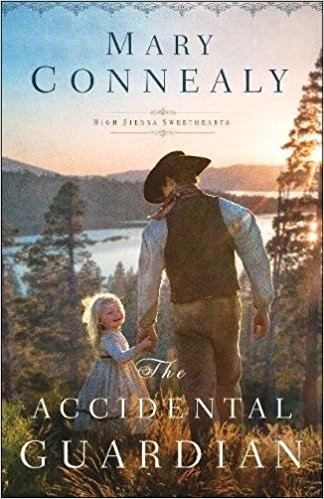 Particularly, in the first book of this trilogy, “Ruth: The Rescued Bride,” is about being held hostage by the Comanche and then how difficult it is to be accepted back into our (Anglo America) way of life. 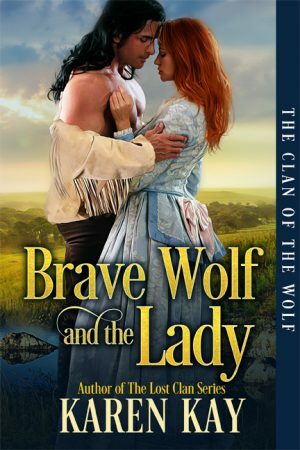 The hero is a half-breed in this book, too, and he faces prejudice. There are unfair soldiers depicted in that book, as well as heroic ones. In “Mallory,” the hero is actually taken somewhat from a real life controversial commander of Fort Davis. A man who was former music teacher and faced lots of prejudice, too, because he was considered “too soft” on the Native Americans, as well as the Latinos who lived and owned most of West Texas before they were ousted after the Mexican-American War. I know a lot of what Hollywood showed of the cavalry was all fantasy, and there were awful people on both sides. In my books, I’ve honestly tried to portray both sides of the equation, to give a more a “balanced” view of the cavalry. I do understand and applaud where you’re coming from. Hi Hebby……I’m deeply sorry that I couldn’t get over here yesterday. I love old forts and my two favorites are Fort Concho and Fort Richardson. I’ve twice attended the huge Christmas bash Fort Concho always does every year and I loved it. They really put you in the Christmas spirit. Fort Richardson was near Wichita Falls where I lived for a very long time so I went there often. They fully restored the old hospital, mess hall and morgue. I’ve downloaded your book but haven’t had a chance to read it yet. Thanks for coming to visit P&P. We loved having you. Linda, no apologies necessary, I’m honored you came by today and posted! Yes, Fort Concho holds a wonderful Christmas festival every year, and I hope to go sometime, maybe this Christmas. I’m sure you loved it and I envy you! Fort Richardson is on my “hit” list of several forts, which are nearby to where I live, and I’m thinking about doing some weekend visits and research for my next series on forts. Yes, there will be another series, just not sure when, as I have several projects before that. I have to admit, the forts have captured my imagination, and I love their history. Thank you!!! 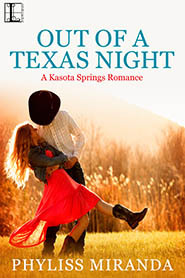 Especially for downloading my book, and not to worry, I’m eager to read your third Texas Knight story. Stuff just keeps getting in the way, but I will get there soon. So little time, so many wonderful books. 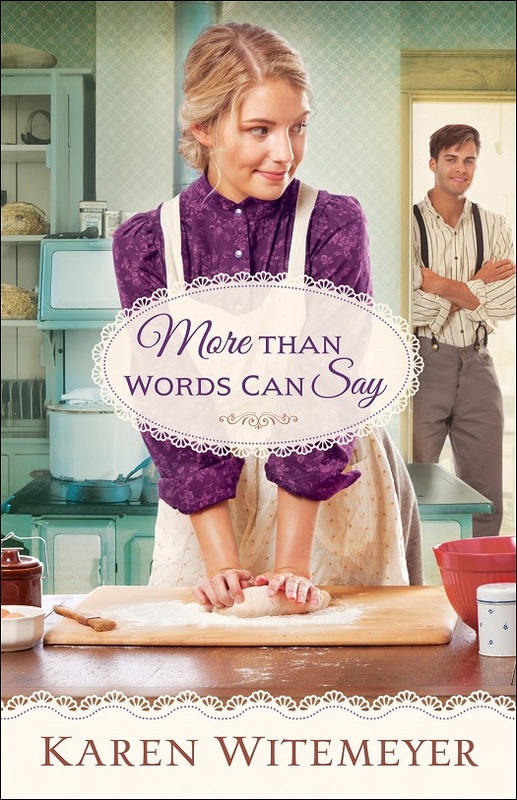 I’m especially looking forward to Marley Rose’s story, such a wonderful character! Thanks for having me at P&P. I’ve thoroughly enjoyed everyone’s posts. And I understand you get to pick the winner and post it tomorrow. I can’t wait to see who wins! Hi Hebby, I truly enjoyed your post. I grew up watching westerns on TV with my Daddy. I may be too late for the drawing but I want to make a guess. D. Hospital or Infirmary. I would think that a Calvary would have need for lots of medical care. Thanks for sharing. Just sorry I couldn’t check your blog post yesterday. Hi, Connie, I’m so glad you enjoyed my blog. I can relate about watching westerns with your Dad. I did the same thing, he loved westerns, too! And you’re not too late for the drawing. I’m fairly new, as an author, here on P&P, and at first, I thought my post would only be “live” for one day, but I’ve learned today is included and the winner won’t be announced until tomorrow. So you did the right thing, chiming in! You’ve got some great guesses, too!!! Way to go!